Wine Delight offers a variety of affordable, high quality, rare and aged liquors and wines. One of the most popular spirits they carry is Johnnie Walker Blue Label Scotch Whisky. With a familiar name and a clean, beautiful bottle, it’s easy to see why Johnnie Walker Blue Label is so popular. Johnnie Walker Blue Label is offered in a standard, 750ml bottle and comes packaged securely in an elegant, velvet-lined, navy blue box. Scotches of varying age are used for the Johnnie Walker Blue Label blend, with some purists hypothesizing that Scotches over 30 years of age might be included in the Blue Label batch. While this is up for debate, it certainly gives weight to the fine quality and reputation of the Scotch. Because of the unique blend of Scotches in Johnnie Walker Blue Label, it is advisable that you enjoy this whisky by itself without other foods or beverages that might dilute the unique palate of the Scotch. For a unique Scotch with a smooth taste and loyal following, its $149.95 price tag makes it an affordable luxury. Furthermore, its widespread availability makes it an accessible Scotch for any collection. Wine Delight is an online retailer of the finest wines, champagnes, Scotches, bourbons, and other liquors. With such a wide variety of rare bourbon and aged Scotch available, there is no better spot for your spirits shopping. Visit Wine Delight today and browse their selection. Deciding on the perfect Scotch as a gift is an informed decision. With such a specific focus placed on flavor, it is worth your time to research the brand and age of the product to make sure you buy from a reputable source. There is also the decision between a blended or single malt Scotch. To drinking purists, single malt Scotch is considered the best way to enjoy this rich beverage. The spirit is allowed to age with minimal interference and no added Scotches of varying age. Blended or single malt preference will vary from person to person, but a single malt Scotch is a great way to appreciate the subtle differences in each variety. Besides, it adds to the fun of experiencing all Scotches have to offer! Let’s discuss a few things you should take into account when selecting your single malt Scotch. A barreled spirit in Scotland is only considered a Scotch if it has been aging for at least three years. Scotch develops unique flavor patterns the longer it remains in a barrel, so age is very important when selecting a single malt Scotch. Try purchasing a Scotch of at least ten years of age as this is when the Scotch will start to develop its trademark flavors and aromas. We recommend an even older Scotch should your budget allow it. Scotch has a very acquired taste. Some may prefer a lighter finish over a richer finish. They may also prefer an earthier, smokier flavor to their Scotch as opposed to something more floral. 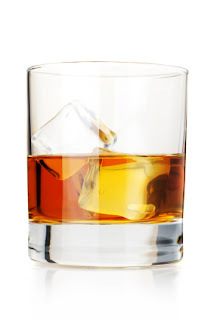 A lighter Scotch will feature flavors one could consider to be fresh; such as grass or fruits. Lighter Scotches tend to use no peat while malting which can also give them a floral taste. A darker, rich Scotch will exhibit a strong, woody, nutty flavor from its barrel and could be heavily peated which will give it a smoky flavor. If purchasing for a friend and you’re unsure of their preferences, try a medium-bodied Scotch from the Scottish Eastern Highlands. An economical choice would be the Glendronach 12 year Scotch whisky we offer. Pleasantly malted, slightly woody, and with a short finish, Glendronach provides you with a great balance of light and heavy tones. Try a Scotch like Dalwhinnie from the Central Highlands for a lighter finish, or buy a Scotch from Islay like Lagavulin if you’re feeling adventurous for a full-bodied spirit. When selecting your single malt Scotch, consider taking these factors into account. If it is your first time selecting a Scotch, try one in the middle of the taste spectrum. This will give you a good barometer for the different types of Scotch you will encounter in the future, and you are more likely to choose a Scotch your friends and loved ones will enjoy. Wine Delight is a leading online retailer of the finest aged Scotch and small batch bourbon. With custom bottle engraving options available, Wine Delight is your best choice for gifts for corporate parties, anniversaries, weddings, and more.